​For a list of financial resources pertaining to the aging and adult population, please see the above financial resources tab. Phone: (402) 444-6444, (402) 721-7770 (Washington/Dodge Counties) – Will Accept Collect Calls. Counties Served: Cass, Dodge, Douglas, Sarpy, Washington. The League of Human Dignity is concerned with the rights and quality of life of people with disabilities. They believe in emphasizing likeness not difference, ability not disability, normality not abnormality, and integration not segregation. The League of Human Dignity works with people who have disabilities to promote independent living and ensure social, economic, and political equality. Please see http://leagueofhumandignity.com/#2 for more information. For more information on service providers, visit www.communityplatform.us/communityplatform/nam/map. The U.S. Department of Veterans Affairs provides a wide range of benefits, including disability, education and training, vocational rehabilitation and employment, home loan guaranty, dependent and survivor benefits, medical treatment, prescription drugs, aid and attendance, life insurance, and burial benefits. This section was developed in response escalating public health concerns around falls and fall-related injuries among older adults. It also was inspired by the challenges of providing easily accessible and useful information to the public and the County of San Diego Aging and Independence Services’ commitment to responding to the needs of the community and empowering individuals and the community to make safe and healthy living choices. Adult Protective Services protects persons 65 and older, and vulnerable adults (anyone over the age of 18 who has a mental or physical impairment which substantially impairs the person’s ability to care for him or herself). Trained staff, working in cooperation with law enforcement, investigate cases of abuse, neglect, self-neglect, or financial or sexual exploitation involving vulnerable adults. Adult Protective Services workers assist victims and prevent further abuse, neglect, and exploitation. Wards & protected persons retain important rights even when they reside in a long term care facility. The long-term care ombudsman will advocate for residents (60 and older) of skilled nursing facilities, assisted living, and other adult care facilities. They work to resolve problems of individual residents. Mediation is the attempt to help parties in a disagreement to hear one another, to minimize the harm that can come from disagreement, to maximize any area of agreement, and to find a way of preventing the areas of disagreement from interfering with the process of seeking a compromise or mutually agreed outcome. While a mediator may charge a fee comparable to that of an attorney, the mediation process generally takes much less time than moving a case through standard legal channels. While a case in the hands of a lawyer or a court may take months or years to resolve, mediation usually achieves a resolution in a matter of hours. Taking less time means expending less money on hourly fees and costs. A guardian may need a lawyer to provide legal advice or to advocate on behalf of the ward. Individuals who are financially eligible can receive legal services through legal aid or legal services programs. In addition, under the Older Americans Act, there are special programs of legal assistance for older people who are “in the greatest social and economic need.” For those not eligible for such legal programs, there are private lawyers who focus on assisting elders or individuals with disabilities. The following database lists more than 21,000 currently available products from more than 8,000 companies. The database also offers information on non-commercial prototypes, customized and one-of-a-kind products, and do-it-yourself designs. To find specific products for children or parents with disabilities, we recommend that you use the Advanced Search by Keyword below. Note: Many assistive devices are now covered by Medicaid or Medi-Cal. Please visit http://nebraska.networkofcare.org/aging/assistive/index.aspx for a list of devices. The following website contains more than 30,000 articles, fact sheets and reports produced by leading organizations in the fields of healthy aging, caregiving, disabilities, Alzheimer’s and dementia, alternative treatments, Medicare, financial planning, and more. Visit the following website to view health topics by category, medications, medical tests, interactive tools, symptom checker, and many other resources. See http://nebraska.networkofcare.org/aging/library/index.aspx to access the library. For additional resources and services relating to adults and aging, visit http://www.networkofcare.org/splash.aspx. Select a Network of Care on the left, select your state, then your region determined by your county of residence. The websites found on the Network of Care are resources for individuals, families and agencies concerned with various issues. They provide information about services, laws, and related news, as well as communication tools and other features. Regardless of where you begin your search for assistance with diverse issues, the Network of Care helps you find what you need – it helps ensure that there is "No Wrong Door" for those who need services. Are you, or a loved one, residing in a long-term care facility such as a nursing home or intermediate care facility (ICF/MR)? Have you considered returning to your family home, an apartment, or a community-based small group home? Would you prefer more independence and the freedom to make meaningful choices about your healthcare needs and daily activities? Nebraska’s Money Follows the Person project can provide you with information about these supportive services and direct you to the appropriate waiver agency which will help you determine your level of needs and the services you may require. Certain eligibility requirements do apply, but the program provides outreach, education, and referral information to all those who are interested in community-based services. If you, a loved one, or a friend prefer a community-based setting as an alternative to a facility-based setting, call Nebraska’s Money Follows the Person. What is the Aged & Disabled Waiver? This is a program that offers an array of services to support people in their homes. What services may be available through the Aged & Disabled Waiver? What is done to ensure the safety and well-being of individuals served by this program? The Nebraska Medicaid & Long Term Care Home and Community-Based Services (HCBS) Waivers Unit utilizes a Quality Improvement System to ensure the health and well-being of clients through continuous, client-focused monitoring and improvement. The Quality Improvement System is guided by key principles and defined roles and functions. A Quality Council advises the HCBS Waivers Unit on strategies to improve all aspects of the Quality Improvement System and reviews progress on strategies. A HCBS Waiver Unit Quality Improvement Subcommittee composed of DHHS staff, representatives from Local Level Services Coordination Agencies and representatives from the Quality Council, reviews Waiver performance measure data and makes recommendations for changes that may lead to systemic improvement in the quality of services, as well as recommendations related to remediation efforts. Processes are used to measure compliance, CMS assurances, client outcomes and utilization. What does it mean for me to “be eligible for the waiver”? Be financially eligible for Medicaid. Have physical and health needs which require services similar to those provided by a nursing facility (see the next question also). Have an individualized plan of services and supports that will keep you safe in your home. OK, so what does it mean for me to “meet nursing facility level of care”? Nursing facility level of care means you have needs which require you to receive services similar to those provided to individuals who live in a nursing home. For example, you may need assistance with everyday tasks such as getting dressed, taking a bath or shower, eating, or walking safely. A few examples of other areas considered are how much help you need to take medications, any memory problems or health conditions you may have and how they are managed. Persons who apply for Medicaid Waiver are assessed to see if their needs are the same as those of people who live in a nursing home. I earn too much money to qualify for Medicaid, but my child has a physical disability and we could really use the services of the waiver. Can you help? There is an exception so that parent’s income is not counted for children served by the waiver. Contact your local DHHS office to begin the Medicaid application process, and be sure to say you want your child assessed to determine if he qualifies for the waiver. How many hours in the day can I have help? Each person’s needs are different; there is not a set number of hours of assistance per day from the waiver. You and your Services Coordinator will work together on a plan of services that will meet your needs and keep you safe at home. I am an adult living in my own apartment. If I qualify for the waiver, who will I get to help me in my home? Who comes in to clean and do laundry? Who comes and helps me while I take a bath? First, an assessment is completed to determine what kind of help you need to stay safely in your home. Next, staff from the waiver program will be able to connect you with a choice of providers to help you in your home. You choose who provides services for you and when they work for you. Some providers are agencies. Other providers are self-employed and do not work for an agency. If you know someone that you want to work for you as your provider, refer the person to the waiver staff. ​​For a list of financial resources pertaining to children and families, please see the above financial resources tab. Raising kids can be hard, but finding help doesn’t have to be. Click the links below to learn more about two Nebraska services for families with children experiencing behavioral health challenges. This new service is available 24/7/365, providing assistance to families with a youth experiencing behavioral health challenges. Some families may be referred on to receive further assistance from a Family Navigator. These new services were authorized in 2009 by the Children and Family Behavioral Health Support Act of LB603. In 2009, The Children and Family Behavioral Health Support Act provided funding for three new services and the evaluation of such services. A contract was awarded to Hornby Zeller Associates, Inc. for the Evaluation Services of those three new services. Family Navigator and Post Adoption/Post Guardianship Services - Right Turn. Nebraska has made great efforts in the past years to improve services to children and families. These successes include new plans at both the service and system levels. The Division of Behavioral Health funds outpatient treatment. It also continues to fund and expand middle intensity services including day treatment, respite care and school-based wraparound. The Department also funds wraparound for children with serious emotional problems and their families through the Professional Partner Program. The purpose of the Program is to improve the lives of Nebraska’s children with serious emotional disturbances and their families. This would be done by preventing expensive out-of-home placements, reducing juvenile crime, increasing school performance and attendance, and preventing children from becoming state wards just to get services. Parents whose children are diagnosed with a serious emotional disturbance and substance dependence disorders. The intent is to ensure that parents have a voice, ownership and access to the systems of care for their child (i.e. case plans, individual educational plans, treatment plans and any other care plan). The Department sought organizations interested in working with the State to build support services to families that will focus on giving parents an understanding of wraparound services through peer role modeling and coaching. The philosophy of wraparound includes individualized services that are developed through professionals and parents in partnership where both are serving important roles in service delivery. Services are tailored to meet the individualized needs of the child and family and based upon strength-based assessments. Early Childhood Mental Health A Governor’s Symposium on Early Childhood Mental Health was held in May 2001. At this two day meeting, family members, providers and policy makers laid out the challenge for a comprehensive, integrated and coordinated system of care to meet the mental health needs of our youngest children. The Early Child Mental Health Work Group has been developing an action plan to develop a system that is child focused and family centered, culturally responsive, community based and committed to continuous improvement. CEDARS' mission is to help children achieve safety, stability, and enduring family relationships. For a list of the services CEDARS provides, please see https://www.cedars-kids.org/​. Grounded by the solid belief that every person has the ability to recover, CenterPointe makes pivotal treatment available for people suffering from mental health and substance use disorders. Meeting people where they are and supporting them to gain control of their lives is what CenterPointe aims to do. By treating the whole person, mental health and addiction can be addressed together in real-time. CenterPointe offers a full continuum of care - treatment, rehabilitation, and housing - for homeless and low-income individuals. For more information on CenterPointe, see http://www.centerpointe.org/. Community Action of Nebraska (CAN) is the state association for Nebraska’s nine Community Action Agencies and provides a voice for those Agencies and the people they serve. Community Action of Nebraska’s mission is to alleviate poverty by enhancing program development, providing technical assistance, and advocating public policy to support all Community Action Agencies in Nebraska. Community Action Agencies in Nebraska provide services and programs designed to meet the local needs of the communities they serve. For more information and a list of services offered, please see https://canhelp.org/who-we-are/. The mission of Heartland Family Service is to strengthen individuals and families in our community through education, counseling, and support services. Founded in 1875, Heartland Family Service serves more than 35,000 individuals of all ages each year from more than 15 locations in east central Nebraska and southwest Iowa. Our 50 programs provide critical human services to the individuals and families who ultimately shape the future of our community in the following focus areas: Child & Family, Counseling & Prevention, and Housing & Financial Stability. More information can be found at http://heartlandfamilyservice.org/. Nebraska Children’s Home Society is focused on educating children and families, facilitating adoption, supporting foster parents and children, and walking beside families through every need and stage. For more information, please see https://www.nchs.org/. Youth Care and Beyond supports children, individuals and families in the Omaha community. They specialize services to include individuals who have suffered trauma, have learning or intellectual disabilities or developmental disabilities. Youth Care and Beyond offers specific programs (and residential services if needed) for teens 9-19 and their families in the juvenile justice – child welfare system. They provide in home assistance (and apartment style living services if needed) for children and adults with Autism, Asperger's, Down Syndrome and other developmental disabilities. For further information, see https://www.youthcareandbeyond.org/. To find additional service providers, see www.communityplatform.us/communityplatform/nam/map. ​How NFLA works: To determine user eligibility, visit the above website and answer the series of screening questions. Qualified users must be Nebraska residents, 18 years of age or older, meet income eligibility requirements, and cannot be in jail or prison. To search your area's comprehensive directory to find services related to aging, disabilities, caregiving, Alzheimer's, and more, please visit the following website: http://nebraska.networkofcare.org/aging/services/index.aspx. For additional resources and services relating to disability services, visit http://www.networkofcare.org/splash.aspx. Select a Network of Care on the left, select your state, then your region determined by your county of residence. For a list of financial resources pertaining to developmental disabilities, please see the above financial resources tab. Nebraska Homestead Exemption - A person who is eligible for DD services can receive property tax relief when they own a home. Information from the NE Department of Revenue. If you have questions, call 402-453-8167. Nebraska Lifespan Respite Network - Describes Nebraska's respite provider structure, basic information about responsibilities, family caregiver support, and instructions for accessing the orientation. Participant Guide for Self-Direction - How to work with independent providers. DD Services focus on helping eligible participants live the most independent lives possible. Goals are identified and habilitation is developed to teach participants skills to be employed, live where they want, and access their community. DD provides funding and oversight of community-based providers. The Division does not provide cash payments or payments for room and board. What do I Need to Know About Medicaid? - Information about Medicaid. En Español aqui. How do I apply for DD services? Please see our eligibility page. Being eligible does not mean you will receive funding for services right away. DD services are not an entitlement. There is not currently enough funds available for all requests. Once eligible, you will be placed on the wait list by your date of application. Services will be offered when funding becomes available. Funding is usually offered based on your date of application. You are eligible to receive Service Coordination services while you are on the wait list. You may be on the registry for a DD waiver while receiving services from a different Home and Community-Based Service (HCBS) Waiver, such as the Aged and Disabled (AD) Waiver. Your participation is based on your level of care. A state worker will complete an assessment. A second assessment, the ICAP, is completed to determine your Individual Budget Amount (IBA). You can use this amount to purchase services. Learn about the process used in the DD Services Assessment & Budgeting Brochure. En Español aquí. You decide who is on your ISP team. It must include you, your coordinator, and any DD providers you get services from. If you have a guardian, he or she is also on the team. You can invite other family, friends, or organizations who support you. This meeting is with your ISP team. There are at least two meetings each year. Your "annual ISP" is the main planning meeting. Other meetings discuss your progress toward your goals. If your services and supports are not meeting your needs, any team member can call your coordinator to request a meeting at any time. Before your annual ISP meeting, your coordinator will talk with you about your needs and what types of services and supports can help you meet your goals. Aging and Disabilities Resource Center (Network of Care) (844-843-6364) - Helps aging Nebraskans and Nebraskans with disabilities improve and better coordinate long-term care services where they live. Applying for DD Services - Instructions on how to complete the DD application on ACCESSNebraska. DD Agency Provider Directory - Directory of Agency Providers of DD services. DD Provider Handbook (en Español) - An overview for DD providers, including serving participants, what is expected, and how to bill for services. DD Service Directory (en Español) - Full service descriptions including definitions, limits, frequency, duration, provider types, and provider qualifications for DD services under the HCBS Waivers. DD Services Assessment & Budgeting Brochure (en Español) - Learn about the process used to assess needs and decide budgets for purchasing DD services. DD Services Eligibility Brochure (en Español) - Learn eligibility requirements and what you need to know to apply! DD Staff Directory and Office Locations with Service Coordination - Who to contact and offices near you. Down Syndrome Information - Website, maintained by DHHS Public Health, which offers information to people with Down Syndrome, as well as those who love them. FAQs: Developmental Disabilities and Vocational Rehabilitation - Answers about services offered by DD and VR. Nebraska Lifespan Respite Network - Describes Nebraska's respite provider infrastructure, basic information about responsibilities, family caregiver support, and instructions for accessing the FREE orientation. More information about Lifespan Respite can be found on their website. Nebraska Planning Council on Developmental Disabilities (402-471-2330) - Advocates for and represents people with developmental disabilities within government. ​Ombudsman's Office - Contact the Ombudsman Program to discuss or seek assistance in resolving a problem, concern, or complaint impacting one or more residents of a long-term care facility. Participant Guide for Self-Direction (en Español) - How to work with independent providers. Providers of Waiver Services (en Español) - The different types of providers for DD-funded waiver services. Ready, Set, Go! (en Español) - Materials and resources to assist young adults with DD to make decisions about supports as they move from high school to adult life. Funding for this project came from the Nebraska Planning Council on Developmental Disabilities. Tangible Services (en Español) - How to use Assistive Technology, PERS, and Home and Vehicle Modifications. Transitioning from High School - Explains the process of leaving the educational system entering adult services. Aging and Disabilities Resource Center - Resource for aging Nebraskans and Nebraskans with disabilities to improve and better coordinate long-term care services locally. Answers4Families - Provides information, dialogue, education, and support to Nebraskans with special needs by providing Internet resources. ​The Arc of Nebraska (402-475-4407) - Provides advocacy to people with intellectual and developmental disabilities and their families. ​​​ATP (Assistive Technology Partnership) (888-806-6287) - The Assistive Technology Partnership (ATP) is dedicated to helping Nebraskans with disabilities, their families, and professionals obtain assistive technology devices and services. ​​Autism Society of Nebraska - Support Network of people who are working to advocate, educate, and support. Department of Education - Nebraska Department of Education information specific to Special Education. Disability Rights Nebraska (800-422-6691) - Working for dignity, equality, and empowerment of all people with disabilities. Down Syndrome Alliance of the Heartlands (402-991-1800) - Committed to connecting those touched by Down syndrome through education, advocacy, and support. Non-profit agency based in Omaha. Consists of parents, advocates, educators, and medical professionals. Down Syndrome Association for Families of Nebraska (402-421-1399) - Support group, which provides family networking and new parent support for families with children who are diagnosed with Down syndrome. Easter Seals Nebraska - Provides services to help ensure all people with disabilities have an equal opportunity to live, learn, work, and play. First National Bank (402-602-7204) - Provides tax-free accounts (Enable) for people with disabilities. Hotline for Disability Services (800-742-7594) - Toll-free hotline operated by the Nebraska Department of Education. Provides information about rehabilitation services, transportation, special parking permits, and legal rights. Helps find resources for children and parents. ​Independent Living Council (402-438-7979) - Promotes independent living and advocates change to promote independence, inclusion, non-discrimination, and dignity for all people with disabilities in Nebraska. Work for self-determination, equal opportunities, and self-respect. ​League of Human Dignity - A consumer-based nonprofit organization, whose mission is to promote the full integration of people with disabilities. Advocates for needs and rights while providing quality services to help people be independent citizens. Munroe-Meyer Institute (800-656-3937) - Federally designated University Center of Excellence for Developmental Disabilities Education, Research and Service. Specializes in providing services and support for persons with intellectual, developmental and/or genetic disorders. ​Nebraska 211 (211) - Information and referral website hosted by United Way of the Midlands. Nebraska Autism Spectrum Disorders Network - Committed to providing up-to-date information and training based on current research about autism spectrum disorders. Associated with UNL. Nebraska Family Support Network (402-345-0791) - Empowers children and families affected by mental, emotional, or behavioral health issues through peer mentoring, education, and advocacy. Nebraska Legislature - Official site of the Nebraska Unicameral Legislature. Includes information about the current session. Nebraska VR - Helps people with disabilities prepare for, find, and keep jobs. Helps businesses recruit, train, and retain employees with disabilities. OMNI Behavioral Health Training - Joint training initiative with DDD to offer training related to topics of interest and importance to the field of developmental disabilities. People First of Nebraska (308-530-9209 or 402-559-4892) - State-wide self-advocacy organization run for and by people with disabilities. ​PTI Nebraska (800-284-8520) - Statewide resource for families of children with disabilities or special health care needs. Empowers parents and provides the knowledge to improve education and healthcare outcomes for children. A funding coordinator and housing resource specialist are available. ​Special Olympics Nebraska - Non-profit organization that changes lives through the power of sport by encouraging and empowering people with intellectual disabilities, promoting acceptance, and fostering communities of understanding and respect. Ticket to Work - Source of information for people with disabilities who want to explore competitive employment. ​United Cerebral Palsy of Nebraska - Educates, advocates, and provides support services through an affiliate network to ensure a life without limits for people of all ages with a broad range of disabilities and their families. American Association of Intellectual and Developmental Disabilities (AAIDD) - Promotes progressive policies, sound research, effective practices, and universal human rights for people with intellectual and developmental disabilities. The Administration on Developmental Disabilities (ADD) - Index of US Government Agencies. Center for Parent Information and Resources (CPIR) - Central resource of information and poducts to the community of Parent Training Information (PTI) Centers and the Community Parent Resource Centers (CPRCs). Disability.gov - US federal government website for information on disability programs and services nationwide. Disability Nondiscrimination Law Advisor - US Department of Labor website to help employers determine which Federal disability nondiscrimination laws apply to their business or organization. Also helps recipients of Federal financial assistance understand their responsibilities under these laws. Dyslexia & Dysgraphia Tips - Study tips for college students with dyslexia and dysgraphia. Includes additional resources as well. National Association of Councils on Developmental Disabilities - Provides assistance to local DD Counsels. Support programs that promote self-determination, integration and inclusion for all people in the United States with developmental disabilities. National Association of Medical Directors - Bipartisan, nonprofit, professional organization representing leaders of state Medicaid agencies across the country. National Association of State Directors of Developmental Disabilities Services - Promotes and assists state agencies in developing effective, efficient service delivery systems that furnish high-quality supports to people with intellectual and developmental disabilities. National Council on Disability - Independent federal agency which advises the President, Congress, and other federal agencies regarding policies, programs, practices, and procedures that affect people with disabilities. Quality Mall - Free information about person-centered supports for people with intellectual and developmental disabilities. Includes positive practices that help people live, work and participate in communities and improve the quality of supports. Social Security Online: The Red Book - Summary guide to employment supports for persons with disabilities. United Cerebral Palsy - Educates, advocates, and provides support services to ensure a life without limits for people with a spectrum of disabilities. Works to advance the independence, productivity and full citizenship of people with disabilities. Domesti-PUPS provides therapy dogs, service dogs for persons with disabilities, and trained rescue dogs. Their mission is to improve the quality of life for persons with special needs through the assistance of animals, and to promote awareness through education. More information on Domesti-PUPS, visit http://www.domesti-pups.org​. APS caseworkers are the first responders to reports of abuse, neglect, and exploitation of vulnerable adults. Report abuse, neglect, or exploitation to Adult Protective Services. To contact APS, please see below. For more information about any of the programs above, visit the Department of Health and Human Services’ website www.dhhs.ne.gov and search for the program name. To ask for financial assistance from the program of your choice. To expect the Department of Health and Human Services to promptly accept a request from you or someone you choose to act responsibly for you, in person, by mail, or by telephone. You may also be helped in various aspects of application or determination of eligibility by the person of your choice. This person may represent you in any agency contact you wish. To have the assistance programs explained to you by the worker. To receive Medical Assistance without a separate application if you are eligible for financial assistance. To request an appeal hearing if you disagree with any action of the Department of Health and Human Services. To have your Civil Rights upheld. To provide complete and accurate information. To ask questions if you do not understand something about the programs. To report to the Department of Health and Human Services within 10 days by phone, in person, or by mail any changes in the information provided in the determination of your eligibility for assistance. To cooperate with the Child Support Enforcement Unit if you are applying for Medical Assistance for a dependent child. To pay Medical Copayments if you are notified they are required. If you intentionally provide false information or withhold information, you may be subject to prosecution for fraud under the laws of Nebraska. If you have further questions contact your local office of the Department of Health and Human Services. Medical Assistance is a statewide program through which medical care and services may be provided for low-income Nebraskans. Medical Assistance is sometimes called Medicaid. An individual under 65 years of age who has a disability, or is visually impaired according to Social Security guidelines. An individual 18 years of age or younger. A dependent child who meets the eligibility requirements of the Aid to Dependent Children Program. You may apply for Medical Assistance at the Department of Health and Human Services Office closest to where you live. You may also be asked to apply for Supplemental Security Income (SSI) at the Social Security Office. What type of care is available under Medical Assistance? Hospital care and doctor visits. Dental care, eye care, speech, hearing and physical therapy. Prescribed drugs, medical equipment and health aids. Care in institutions for mental diseases if person is 20 years of age or younger or 65 years of age or older. Regular health checks for children. What resources may I have and be eligible to receive Medical Assistance? Property you use to operate a trade or business. For example, land, machinery, and equipment. May I dispose of a resource by giving it away or selling it for less than fair market value? If you give away your home or other resources, you may be giving away a resource which may be used for support. Therefore, you may be found ineligible for Medical Assistance. May I have income and still be eligible? Yes, provided you meet all other eligibility requirements and your income does not meet your basic living and medical needs according to eligibility guidelines. You may be required to spend a portion of your income on medical expenses, and show proof of the medical needs. How long must I live in Nebraska in order to be eligible for Medical Assistance? 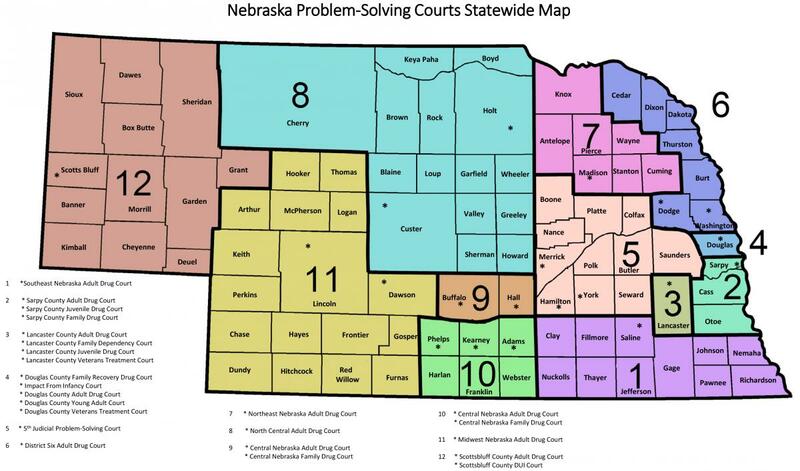 Your legal residence must be in Nebraska at the time you apply for Medical Assistance. People may talk with DHHS staff about Economic Assistance and Medicaid/Children’s Health Information Program (CHIP) services by visiting a local office or calling an ACCESSNebraska toll-free Customer Service Center. People are encouraged to apply for services online through the ACCESSNebraska website. Ogallala: 201 East 5th St. Broken Bow: 2475 South E St.
Grand Island: 2300 West Capital Ave.
Kearney: 24 West 16th St.
Ainsworth: 644 East 4th St.
Norfolk: 209 N. 5th St.
Papillion: 1261 Golden Gate Dr. Please visit: https://www.ssa.gov/ssi/text-eligibility-ussi.htm for SSI eligibility requirements. Child Support Enforcement (CSE) is a family-first program intended to ensure families self-sufficiency. The program goals are to ensure that children have the financial and medical support of both their parents; to foster responsible behavior towards children and to emphasize that children need both parents involved in their lives. Enforcing child, spousal and medical support orders. If you are a custodial parent and are receiving assistance under the Temporary Assistance to Needy Families (TANF) program (which replaced the Aid to Families with Dependent Children (AFDC) program) or Foster Care program, you automatically receive Child Support Enforcement services. If you are not receiving any state or federal assistance and want to receive Child Support services, you will need to complete an application. 1-877-631-9973, Option 2, to request a paper application. CSFP is a United States Department of Agriculture (USDA) program which provides foods purchased and distributed by the USDA. Proof of residence -- either a letter post marked within the last 30 days, or a utility bill with date and address on it. In most instances, Emergency Assistance payments will be sent to the provider of the service. For more information, find the phone number of the nearest HHS office. Employment First is Nebraska's welfare reform program which helps families achieve economic self-sufficiency through job training, education, and employment preparation. Employment First assists people through the transition from welfare to the workforce. In 1993, Gov. Ben Nelson appointed the Governor's Task Force on Welfare Reform. This group developed the framework for legislation that was passed in 1994. The former Department of Social Services (now the Department of Health and Human Services) was authorized to request federal waivers to implement the state's welfare reform. Waivers were obtained and in 1995 the Legislature passed LB 445. On November 1, 1995, Employment First pilot projects began in Lancaster, Adams, Clay, Nuckolls, and Webster counties. For the purpose of evaluation, everyone who received an Aid to Dependent Children (ADC) cash payment and was able to work in Adams, Clay, Nuckolls, and Webster counties was subject to the Employment First provisions. Half of Lancaster County participants were subject to Employment First provisions and the other half received benefits as currently provided by the Aid to Dependent Children and Job Support program. The program went statewide on January 1, 1998. Under Employment First, the person and his/her case manager develop what's called a self-sufficiency contract. The contract outlines the activities, services and responsibilities of the person and the State so that the person can achieve economic self-sufficiency. Once an person is employed and has received cash assistance for at least three out of the last six months, the family is offered continued Medicaid coverage and child care subsidy payments. The Medicaid coverage is available to the family for up to12 months if the family's income doesn't exceed 185% of the federal poverty level. If the family's income is between 100% and 185% of the federal poverty level, the family may be required to pay a monthly premium that doesn't exceed 3% of the family income. Child care is available to the family if their income doesn't exceed 185% of the federal poverty level. The family is required to pay a portion of the child care costs based upon a sliding fee scale; the fee must not be more than 20% of the family income. Every Woman Matters (EWM) is a program that can help women get health check-ups. EWM may pay for exams based on health history and program guidelines. For a list of the services EWM may provide, please see: http://dhhs.ne.gov/Pages/Every-Woman-Matters.aspx. To access the enrollment questionaire, visit: https://cip-dhhs.ne.gov/redcap/surveys/?s=8XRRLKTPYR. For individuals who do not have access to the internet or need further assistance, this service is supported by a bilingual call center (8:00 AM to 5:00 PM, M-F). Call toll free at 1-877-428-8844. For a list of financial resources pertaining to mental health, please see the above financial resources tab. assistance of animals, and to promote awareness through education. More information on Domesti-PUPS, visit http://www.domesti-pups.org/​. The database lists more than 21,000 currently available products from more than 8,000 companies. The database also offers information on non-commercial prototypes, customized and one-of-a-kind products, and do-it-yourself designs. To find specific products for children or parents with disabilities, we recommend that you use the Advanced Search by Keyword below. Note: Many assistive devices are now covered by Medicaid or Medi-Cal. Please visit http://nebraska.networkofcare.org/aging/assistive/index.aspx for a list of devices. The website contains more than 30,000 articles, fact sheets and reports produced by leading organizations in the fields of healthy aging, caregiving, disabilities, Alzheimer’s and dementia, alternative treatments, Medicare, financial planning, and more. Visit http://nebraska.networkofcare.org/aging/library/index.aspx to view health topics by category, medications, medical tests, interactive tools, symptom checker, and many other resources. Visit http://www.networkofcare.org/splash.aspx, select a Network of Care on the left, select your state, then your region determined by your county of residence. The websites are a resource for individuals, families and agencies concerned with various issues. They provide information about services, laws, and related news, as well as communication tools and other features. Regardless of where you begin your search for assistance with diverse issues, the Network of Care helps you find what you need – it helps ensure that there is "No Wrong Door" for those who need services.